World Day of Prayer was celebrated around the United Dioceses of Cork, Cloyne and Ross on Friday, 6th March. 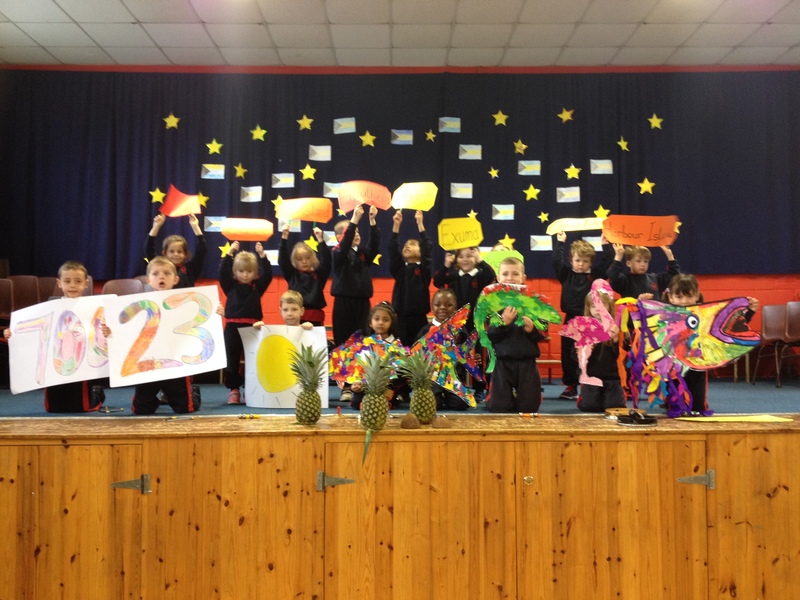 The Junior Infants of St Mary’s Church of Ireland National School in Carrigaline, for example, with some help from 2nd Class, celebrated the World Day of Prayer at their Assembly that day. This year the service, prepared by the Women of the Bahamas, allowed the children to celebrate the wonderful variety and colour of these exotic islands with real Pineapples and (not so real) Flamingos, Iguanas and Fish. This entry was posted in Diocese, Prayers, Schools in the Diocese. Bookmark the permalink.